Paige Beavan does not take “no” for an answer very easily when it comes to insurance companies. 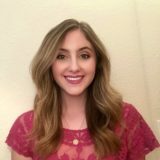 She has mad skills when it comes to checking patient benefits, obtaining coverage for the services we provide that our patients need, and recouping reimbursement. She is typically the first friendly voice you will encounter when calling the office. If you’ve got the time, just ask how her twins are doing when you speak with her! Debbie comes to the office part-time and makes sure that everyone has what they need to do their job for the week ahead. She has been happily married for over 20 years and they have 2 teens which she homeschools. 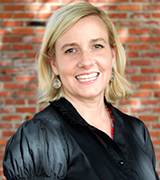 As a native of Costa Rica and an LSU graduate, Debbie is fluent in Spanish and is a licensed realtor with C.J. Brown. In her free time, Debbie enjoys traveling with her family, sewing, and baking. 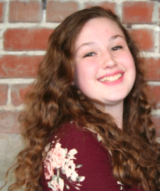 Anna is a homeschooled high school sophomore, who is planning on majoring in Speech Therapy when she attends college in the future. She comes from a big family, and loves to work and play with children. She is currently studying American Sign Language, and hopes to one day be fluent so she can help the Hard of Hearing community with speech therapy. She is looking forward to learning a lot at Chesney Center Therapies so hopefully one day she can move from office assistant to therapist. 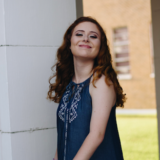 Sabrina Hickey is a sopohmore at Southeastern Louisiana University and is planning on majoring in Kinesiology-Fitness and Human Perfomance in order to apply to an Occupational Therapy Master’s Degree program. She feels that nothing is better than playing with chidlren and helping them develop their skills at the same time, the perfect match for a pediatric occupational therapist. Sabrina loves donuts, playing soccer, and spreading joy to those around her. Look for her in the Hammond office greeting you with a bright smile. Abby is from Gonzales, Louisiana. She is currently a senior at Southeastern University majoring in Communication Sciences and Disorders. She hopes to attend graduate school at SLU to become a certified Speech and Language Pathologist. 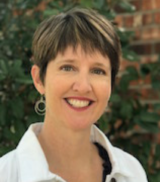 Abby works in both the Hammond and Baton Rouge office where she helps the therapists and office staff. When she’s not studying, she enjoys reading, yoga, and doing crafts. 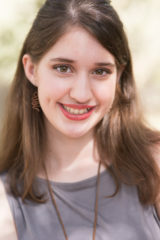 Isabel is a homeschooled highschool senior who loves ballet and working with children. Following knee suregery from a dance injury, she has spent much time in physical therapy which has fueled her interest to attend PT school. She hopes to one day help rehab others, especially dancers, to help get them stronger and back to what they love. 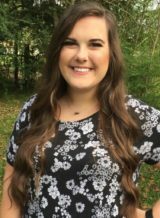 Cheyenne works at our Hammond office part-time while in her last year at Southeastern Louisiana University to obtain her Bacherlor’s of Science in Communication Sciences and Disorders. She hopes then to continue her education to recieve her Master’s Degree to become a certified Speech and Language Pathologist. She has the kindest heart and gives her undivided attention to each and every person that walks into our doors. When she’s not studying, you can find her with her pup, Hazel, and her fiance Huston. 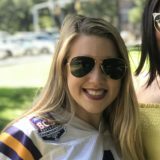 Demi Newton is a sophomore at Southeastern Louisiana University studying Communication Disorders. She hopes to one day further her education in applied behavioral analysis and work with children with Autism Spectrum Disorder. She is a member of Alpha Sigma Tau sorority, College of Republicans, and SGA. She is a part time employee at our Hammond office where you will find her assisting our therapists and greeting everyone who walks in the door.